In 1966 Jean Debelle was 26 and working as a newspaper journalist for the Adelaide Advertiser when she volunteered to work for the Red Cross in the Vietnam War as a welfare worker with the troops. 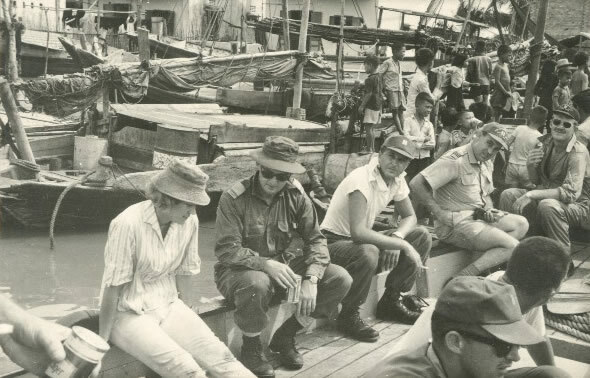 Jean spent a year caring for wounded ANZAC troops (from June 1966 until June 1967) in Vung Tau, Vietnam. 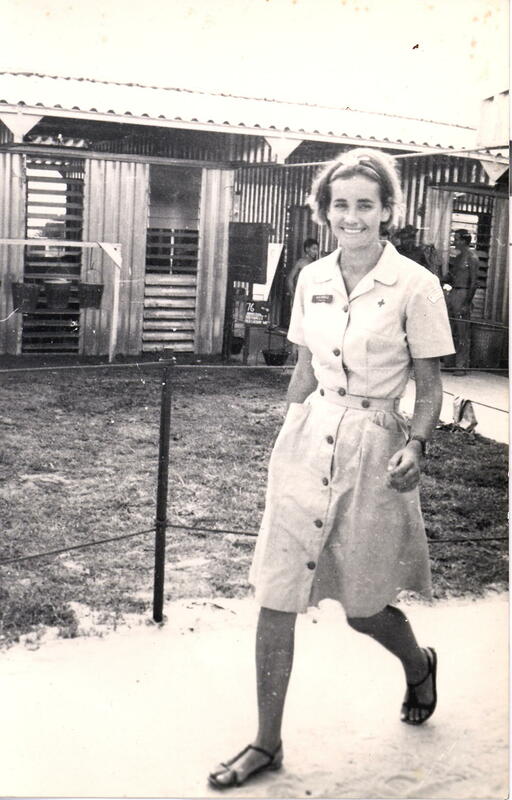 Jean fulfilled another year for the Red Cross in Butterworth, Malaysia, and then returned home to Australia to work as a journalist for the Sydney Morning Herald, the Women's Weekly, Editor of the now defunct Woman's World, and co-Editor of Woman's Day with Jerry Lacey, until Fairfax sent her to New York in 1980. She retired in 1995 after eleven years as an executive at Ziff-Davis Publishing in New York where she maintained international editions of PC Magazine and other computer titles. Jean married Jack Lamensdorf in the US and now lives in Pennsylvania. She occasionally speaks to local groups (sometimes as many as 300 people at a time) about Australia and Vietnam. Click here to find out how to obtain a copy. 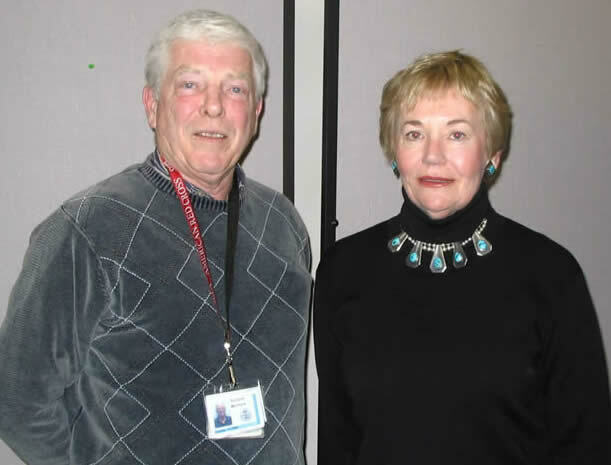 a former Australian Red Cross employee and current Chester County resident, shared her experiences as a Red Cross worker in the Vietnam War. 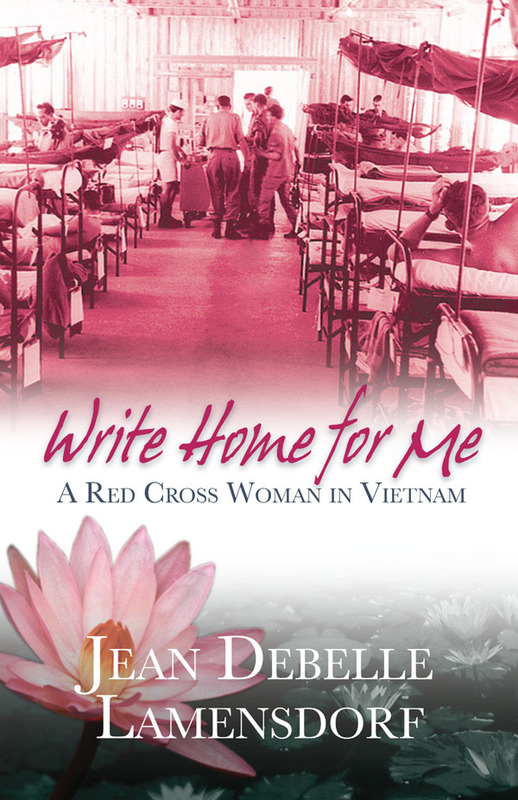 She has written a book detailing her experiences called Write Home for Me:A Red Cross Woman in Vietnam. The book describes what it was like to work with and serve the soldiers during the Vietnam War. Jean described how rewarding it was to have the opportunity to write letters home for soldiers who were unable to write themselves as a result of their injuries. She took wounded soldiers on field trips to local markets, played cards with them and celebrated birthdays. Jean said she admired their courage and their commitment to their duty. On a lighter side, she said she got to meet personalities such as John Wayne and John Steinbeck, both of whom had sons serving in the war. She spent two years providing aid and comfort to both American and Australian soldiers. Jean felt that her emotional experience would be beneficial to share with her community by detailing it in her book. The proceeds from her book are donated to both the American and Australian Red Cross. Jean Debelle Lamensdorf, Red Cross volunteer and author discussed her time in Vietnam and her book "Write Home for Me, A Red Cross Women in Vietnam". Here book won first prize from the Delaware Press Association. Jean spent a year in Vietnam at Vung Tau on "Back Beach". Much of her time there was to help make injured soldiers as comfortable as possible. Often writing letters to soldiers loved ones, driving them to markets and just helping in the "hospital". 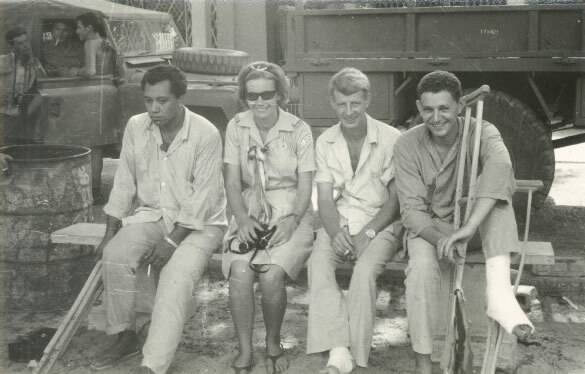 Jean's book starts "For one year I was in love with 5000 men, Dirty men, their shirts wet with sweat, their bodies caked with the red soil of the rubber plantation or with gritty sand of the base camp, where they lived out in tents for that long defining year. Men who were rank with the jungle mildew, who might curse through each day as soldiers do, but men who were strong and fit and in the prime of their lives. They were the men of the Austrian and New Zealand forces - ANZACs - fighting what became known ad the Vietnam War."